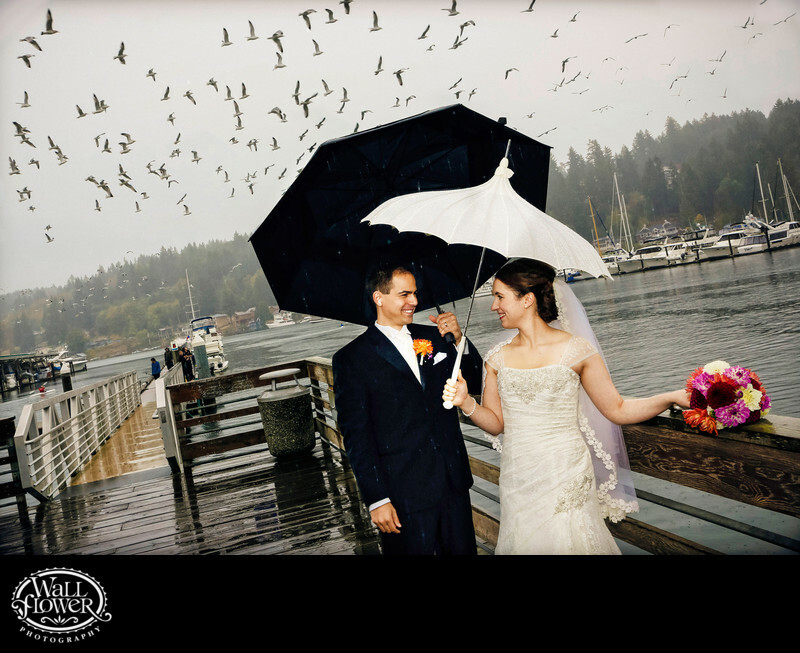 We had just finished up our portrait shoot with this bride and groom at a very rainy Jerisich Park and Skansie Brothers Park in Gig Harbor and were about to head back to the limo to take us to their wedding reception at the Inn at Gig Harbor when I spotted (and heard!) this huge flock of birds about to fly past. We quickly posed these two newlyweds and snapped this photo on the dock before the moment had passed us by (quite literally).